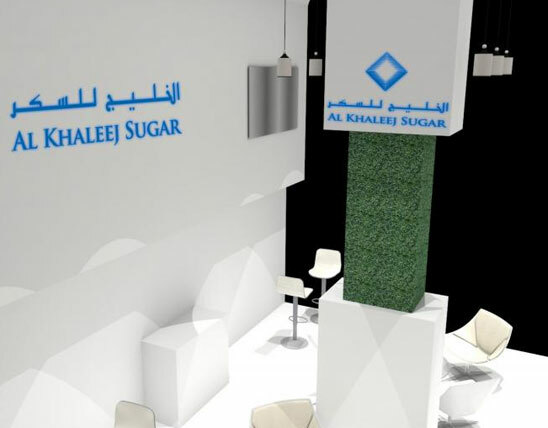 Dubai's Al Khaleej Sugar Refinery, the world's largest stand-alone refinery, has announced its participation at the upcoming Gulfood exhibition. Gulfood, the Middle East's biggest annual trade exhibition for the food and beverage industry will kick off on February 25th is expected to welcome a record number of F&B buyers and trade professionals from all over the world. The refinery has also announced its plans to process 1.5 million tons of sugar this year, an increase of 13% compared to the 1.3 million tons processed in 2012. Commenting on the participation at Gulfood, Jamal Al Ghurair, Managing Director of Al Khaleej Sugar Co (LLC) said, "Gulfood is the perfect platform for us to interact with our customers, partners, new channels and leaders in the FMCG industry. We are always keen on participating in such leading exhibitions especially those that the UAE, our home, hosts." Al Khaleej Sugar will be participating in this year's edition of Gulfood in Integrated Middle East Section, Stand S3-E17. 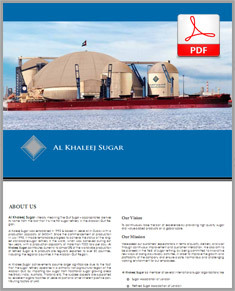 Based in Jebel Ali, near Dubai, Al Khaleej Sugar refinery is the largest stand-alone sugar refinery in the world with current production capacity of around 7,000 tons of refined white sugar per day, employing about 800 personnel. Al Khaleej Sugar's products are regularly exported to over 40 countries, including the regional countries in the Arabian Gulf Region.